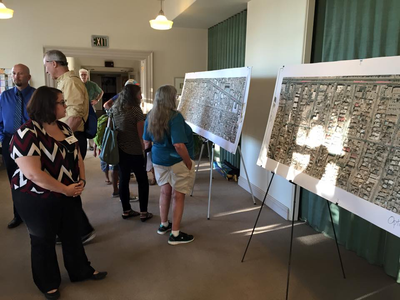 Feedback received since the Bike Boulevard was created suggests that it may be falling short of that goal, however, due to heavy motor vehicle traffic, multiple stop signs and difficult arterial crossings. 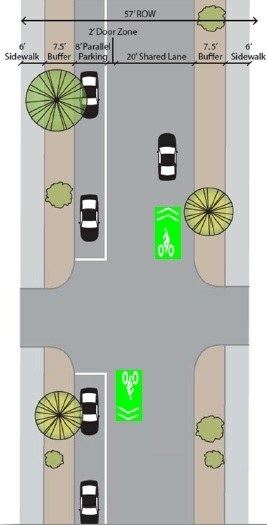 Improvements to arterial crossings, such as Girard and Carlisle, to make them more navigable by less-experienced cyclists. The next step is to take the conceptual improvements proposed in the study and create the engineering documents required for actual implementation. The first phase of implementation of these improvements is proposed to occur between Carlisle and Yale Boulevards. The purpose of the project is to study deficiencies implement improvements for all transportation modes on Silver Ave. between Yale Blvd. and San Mateo Blvd. with a focus on Silver’s designation as a Bicycle Boulevard. In March the engineering firm will conduct a survey of Silver so that in April the engineers can commence with construction drawings for the medians, traffic circles and parking changes. They will have construction ready plans completed and approved by July and hopefully in late September construction can begin. The goal is to complete construction before the ART Project construction reaches University Boulevard in early 2017. You can review the Silver Avenue Plan.